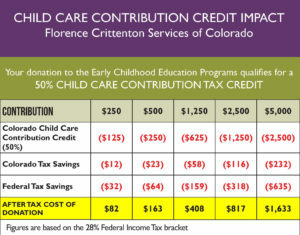 Your contribution to the Florence Crittenton Services Early Childhood Education Center may qualifiy for a 50% Colorado Child Care Contribution Credit. To take advantage of this credit, you must be a Colorado Resident and file a Colorado State Tax Return. 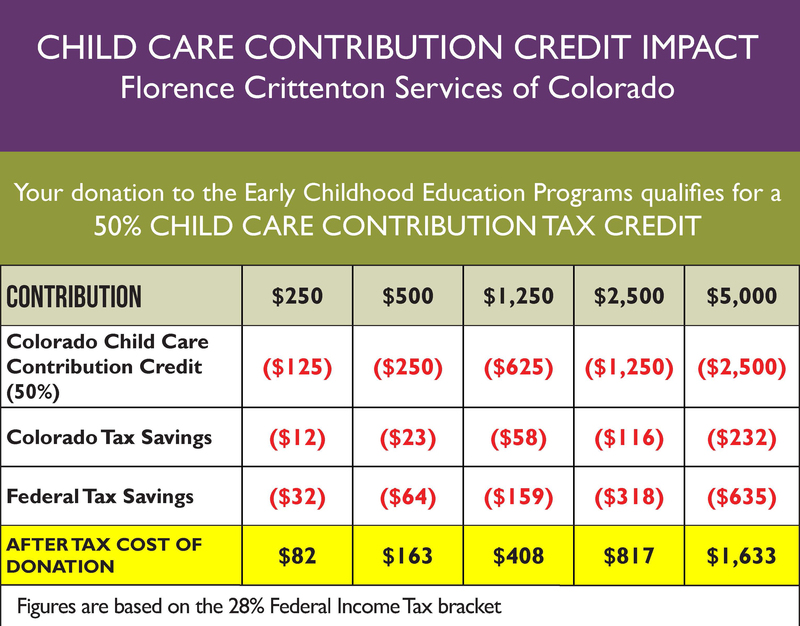 The effect of this credit is that 50% of your donation is offset by a dollar-for-dollar reduction of your Colorado income taxes. In addition, you also can deduct your full contribution on your federal and state income tax returns if you itemize your deductions. 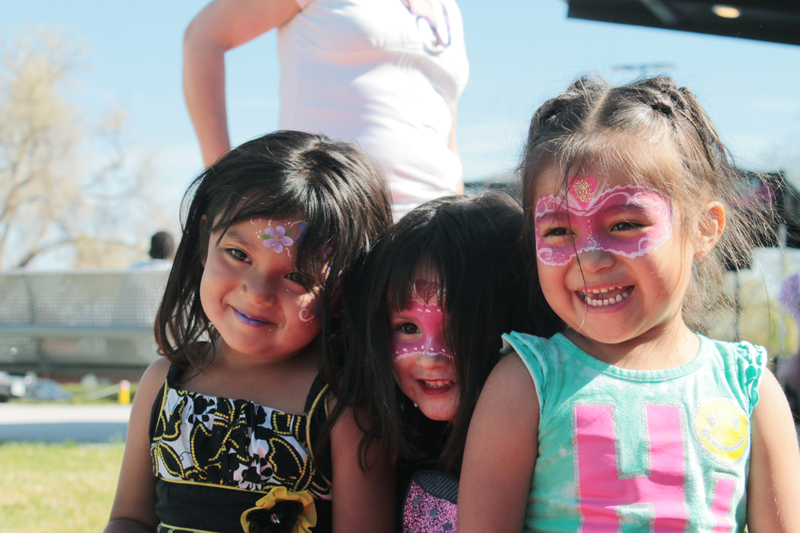 As a result, the net cost of your contribution is approximately one-third of your gift. At the end of each year, we will send you the necessary form to claim the credit for all of your qualifying gifts received during the calendar year. Donors should contact their tax advisor for advice regarding the applicability of the credit. Information provided here is not tax advice. For more information, please visit the Colorado Department of Revenue Bulletin.